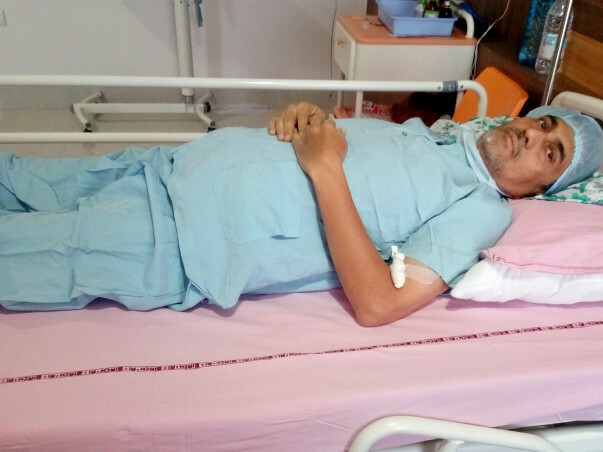 55-year-old, Mohamad Javeed was diagnosed with a severe form of cancer called Acute Lymphoblastic Leukemia which is a form of blood cancer. 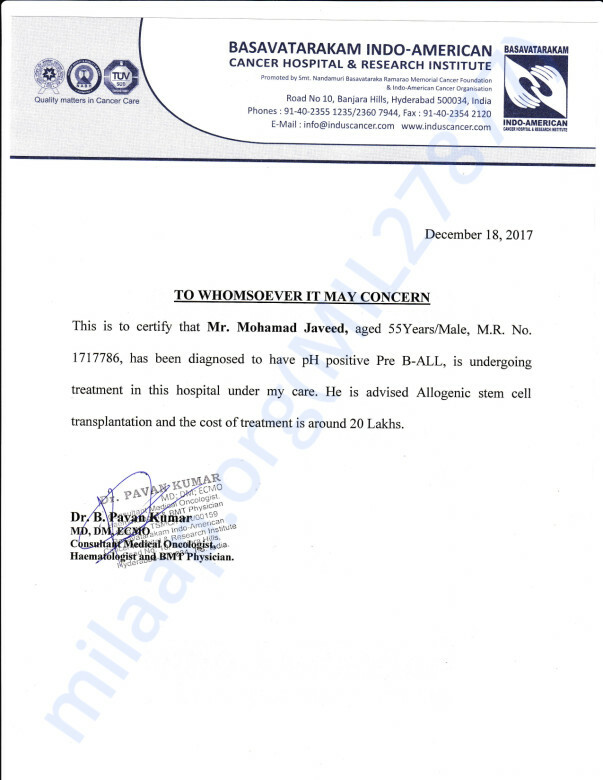 The only treatment for him now is a bone marrow transplant which costs around 20 lakh Rs. This amount is far too high for him to afford and he needs our help.